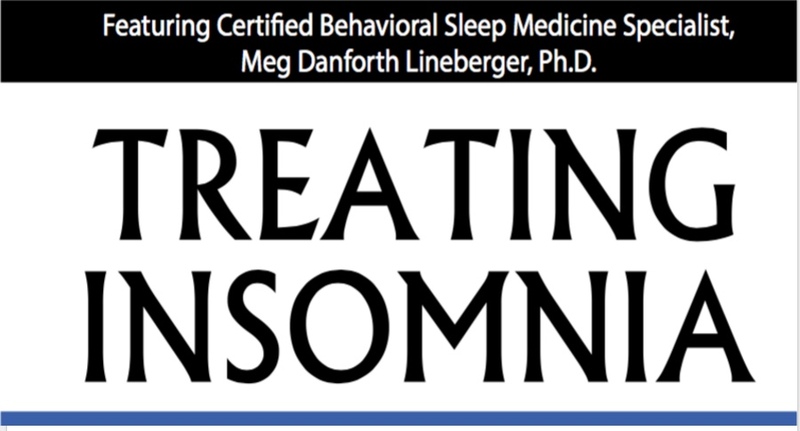 Meg Danforth will show clinicians successful, proven techniques she has developed over the last decade on how to optimize their clients sleep - without medication! I loved her training in Arlington, Virginia! I strongly recommend - if you want to learn how to conduct CBT-I - join her in Maryland, Ohio, New York, Pennsylvania, Illinois, Massachusetts, Georgia and even online! I can honestly rate Meg’s 1-day training among the top of all continuing education trainings I’ve attended in 25 years of my clinical health psychology career. Throughout the September 18th Arlington, Virginia training, she held our rapt attention with her obvious passion for the subject, her distinctly enunciated and masterfully clear use of plain language, her warm, interactive and playful manner of relating, not to mention her deep erudition on all matters of sleep. 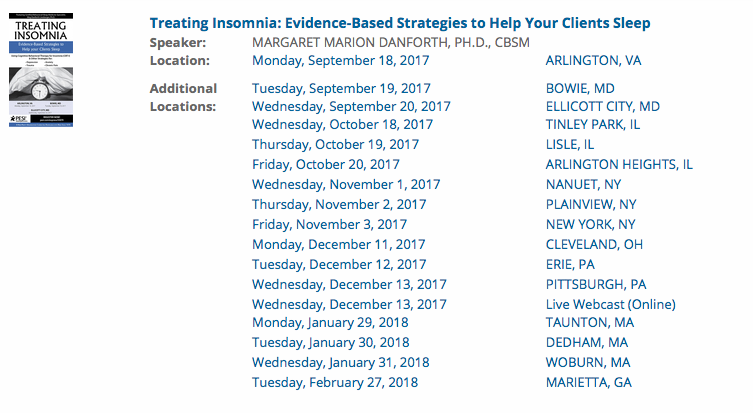 Even if you have NO experience in treating insomnia, you can come away with the essentials to start using CBT-I right away – the training is THAT usable! You can register now … both for live onsite training and/or DVD Video (4 hours). 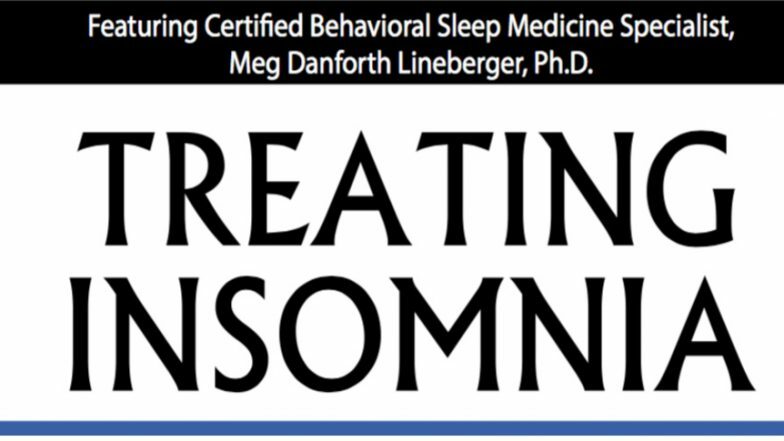 Meg Danforth, Ph.D., is a licensed psychologist and certifed Behavioral Sleep Medicine Specialist who has been helping people sleep better without medication for the past 13 years. She is a leading expert in psychological treatments for insomnia, particularly in the context of co-occurring medical and mental health issues. Dr. Danforth has a full time behavioral sleep medicine practice at Duke University medical Center. Her work has been featured in the Associated Press, CBS News, and the Daily Mail. Dr. Danforth is a passionate advocate for improving patient access to behavioral insomnia treatments, and she offers training opportunities for psychologists, physicians, and other behavioral healthcare providers both at Duke and through invited workshops throughout the United States.